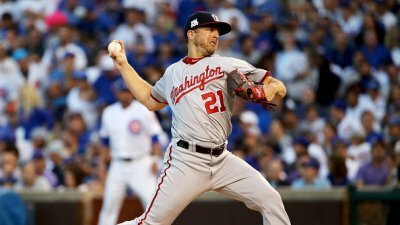 Early Thursday morning, shortly after midnight, the Washington Nationals re-signed righty Brandon Kintzler to a two-year/$16M deal. He is guaranteed $5M in the first year and can only reach the full amount if his incentives are met. WASHINGTON, D.C. — The “law firm” as Washingtonians like to call it, is back in business for another year of practice on 1500 S Capitol St. Ryan Madson and Sean Doolittle will accompany Kintzler in the back end of the bullpen to close out games. 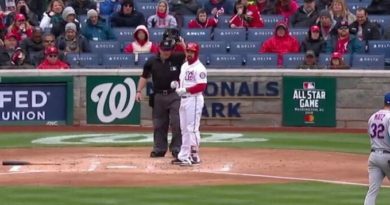 Last season, the Nationals struggled immensely to put away the opponent from the 7th inning on. The acquisition of the firm proved to be huge in limiting losses (which were attributed to blown saves/leads) and to anchor down arguably the most important innings of the game. Kintzler posted a finishing line consisting of a 3.03 ERA with 39 K’s and 16 BB. With 72 total appearances (most with the Minnesota Twins) for the 2016-17 season, the Nationals only accounted for 27 of those. He proved to be an iron horse in the NLDS and to avoid bringing him back for another season(s) would have been foolish on the part of general manager Mike Rizzo and the front office. He quickly became a fan favorite, earning the nickname “Rhino”, and cemented his role as the 7th inning guy. The Nationals were quite thin on the number of right-handed relievers to work with. With the uncertainty of Koda Glover and Shawn Kelley, they were left with: Madson, Trevor Gott, and Austin Adams. Of those named, Madson is the only sure fire that you can trust to put in the game and shut down the opposition. The team also expressed interest in free agents Wade Davis and Addison Reed before bringing back Kintzler. The deal for the Davis would cost the team $60M for 4 years, which is steep to say the least. With that price tag eclipsing their spending abilities, Red Sox pitcher Reed would still be a feasible option if they choose to pursue. With the evident passive nature of the front office I would say the Kintzler signing will please them enough to put a pause on all other pursuits and return to the nation’s capital very satisfied.